As always, we had a strong group of nominees—a testament to the many excellent teachers in our Faculty. Thank you to our Undergraduate and Graduate Selection Committees headed by Professor Liette Lapointe and Professor Steve Fortin, for all their efforts. According to his students, Professor Desmond Tsang’s passion for accounting is contagious, his classes are a breath of fresh air, and the encouragement he shows to his students is unequalled. He is particularly talented at delivering lecture material in a captivating and relatable manner through using real-life examples and applications. Professor David Schumacher has been described by his students as a masterful orchestrator of class discussions and guest speaker sessions; making every class interesting, educational and stimulating. He is widely acknowledged for being skillful at encouraging his students to speak up and contribute in class. 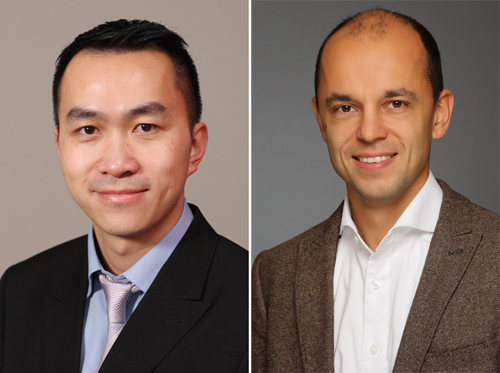 Please join us in congratulating Professors Tsang and Schumacher on these well-deserved honours. Their awards will be officially presented at the May 31st Convocation Ceremony.